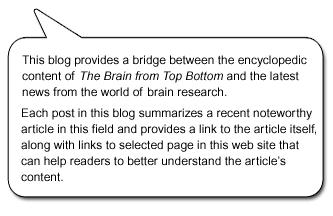 The Brain from Top to Bottom Blog – Beginner Level » What Are People’s Deepest Motivations? As author Daniel Pink describes in an illustrated talk to which a link is provided below, studies in various countries have shown that giving people more money does not stimulate creative thought, even when the amounts offered are the equivalent of several weeks’ pay. So if money does not motivate people to work harder, what does? Simpler, more “human” things, such as a feeling of independence, the love of a challenge, or the pleasure of improving oneself, mastering a subject, or finding personal or social meaning in one’s job. For this reason, Pink concludes, treating people like human beings and not like Pavlov’s dogs is not only better for the individuals concerned, but also for society as a whole. And since some of the studies that Pink cites were commissioned by the Federal Reserve Bank of the United States, it is hard to dismiss this conclusion as some kind of socialist plot! The web site of the RSA (Royal Society for the Encouragement of Arts, Manufactures and Commerce) offers a number of other animated talks on various aspects of human behaviour, such as language and brain lateralization. This unique teaching approach is very effective, and we certainly plan to link to more of these animated talks in future posts on this blog.